Spurred on by the notion that it is rapidly becoming one of Sydney’s most sought after residential development locations, Sydney-based developer JQZ has acquired a 1.715-hectare site in Macquarie Park to build a mixed-use apartment development with four residential towers and approximately 2000 square metres of prime retail. Acquired from Goodman for an undisclosed amount, the site is located at 101 Waterloo Road, in the heart of Macquarie Park. Waterloo Road, to a tee, answers JQZ's credo of 'location, location, location', according to JQZ Founder and CEO Jian Qiu Zhang. “This site ticked all of the boxes in terms of convenience as it’s literally right next door to one of Australia’s premier shopping centres and only a 17-minute walk to Macquarie University," he said. "You couldn’t live in a better part of Macquarie Park… it’s right in the beating heart. It will also have a train station basically on its doorstep. 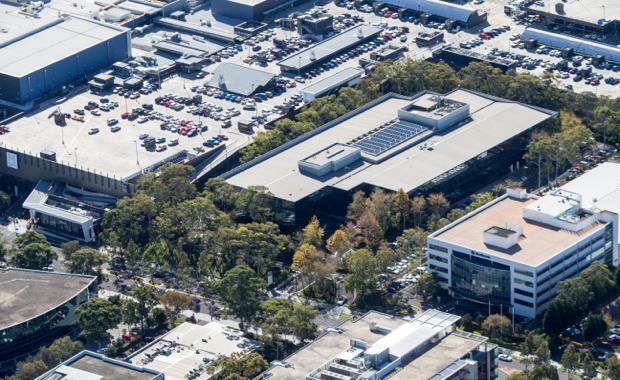 "The site acquisition is a significant one for Zhang and JQZ, as Macquarie Park has been identified as one of Sydney’s key growth areas due to the well-established services and transport options available in the suburb. "It is rapidly becoming one of Sydney’s most sought after residential development locations and the delivery of this project will further cement the area’s status as a new local destination in its own right," Mr Zhang said. “Macquarie Park is one of Sydney’s largest employment hubs and is home to a number of major global brands such as Microsoft, Macquarie University, Foxtel, Oracle, Fujitsu… it goes on and on. “We know of 30 companies in Macquarie Park that employ over 300 people. "The developer's plan is to transform the site into a precinct that will help to boost the current local retail offering fronting Waterloo Road. Mr Zhang believes buyers will be incredibly well-connected because of the site's connectivity to major train stations and numerous bus routes. “Macquarie Park is set to experience significant growth over the coming years - making it one of Sydney’s most desirable suburbs to live, work and study in," Mr Zhang said. JQZ’s own in-house construction team is expected to commence building works in mid-2017.